The Kingdom of Bhutan is considered a development success story, with decreasing poverty and improvements in human development indicators. 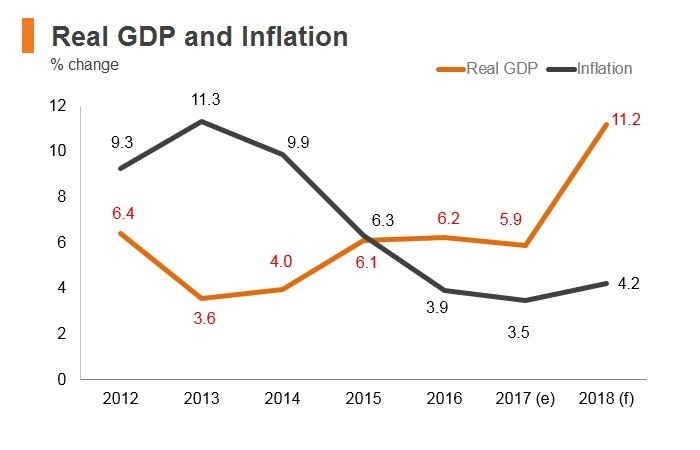 Hydropower construction and supportive fiscal and monetary policies, such as the 2016 Economic Development Policy and accompanying 2017 Fiscal Incentives Bill, are contributing to solid growth. 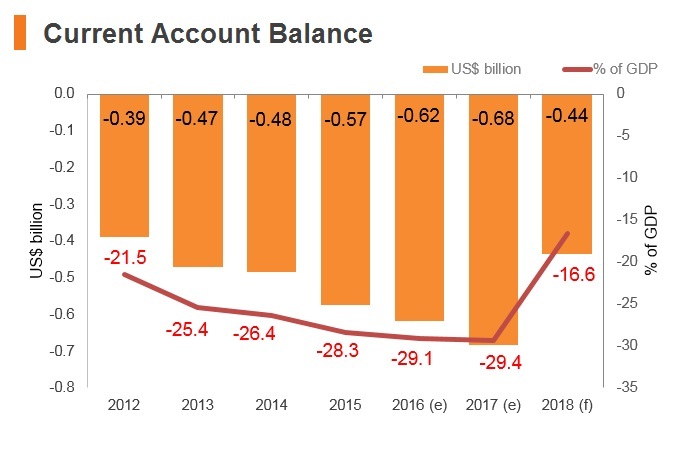 Nevertheless, structural challenges remain, such as large current account deficits, high public debt and an underdeveloped private sector. John Kerry became the first-ever US secretary of state to hold a cabinet-level meeting with a Bhutanese official when he met Bhutanese Prime Minister, Tshering Tobgay, in India. 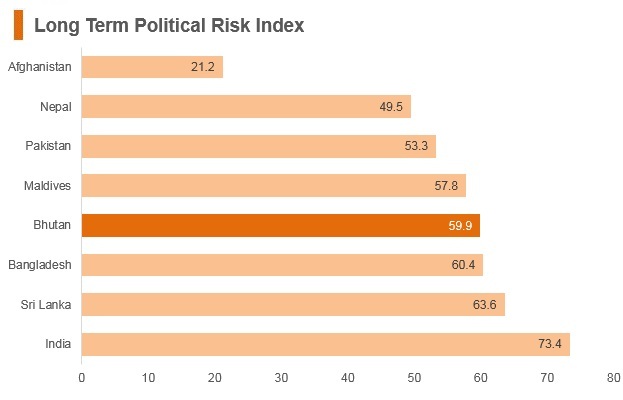 Bhutan is not yet a member of the WTO. Its Working Party was established in October 1999, when the country started its WTO accession negotiations. The Working Party met for the fourth time in January 2008 (latest meeting), but progress has stalled due to the resistance of the previous government. 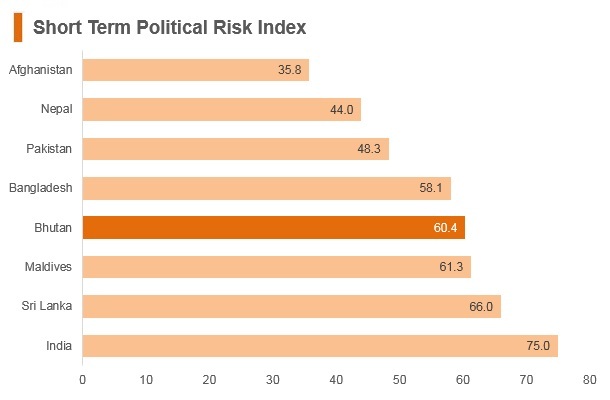 Bhutan has an average tariff rate of 10%, the fourth-highest in the South Asia region (out of eight countries), as well as numerous non-tariff barriers. 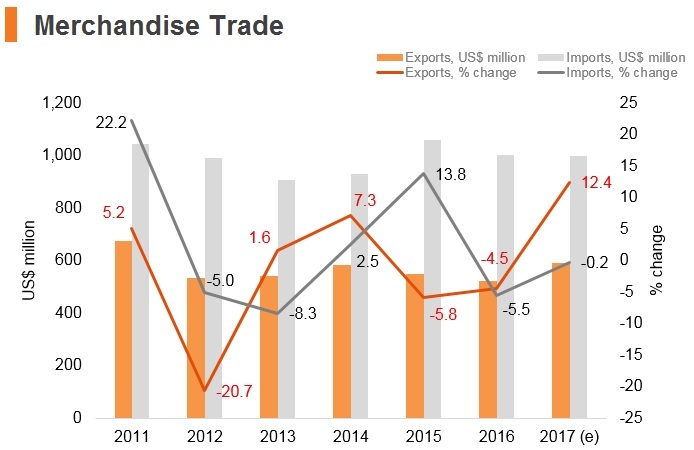 Various logistical and technical barriers exist to trade development and diversification in Bhutan. 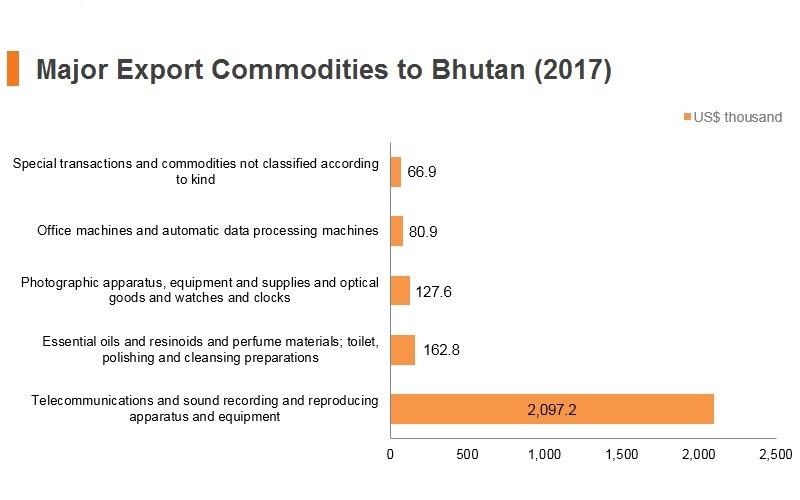 That said, market access and demand for Bhutan’s goods and services are rather favourable due to the country's completely open access to the Indian market as part of one of the most liberal trade agreements in the world (meaning that Bhutan's trade with India is not restricted by tariffs or rules of origin). 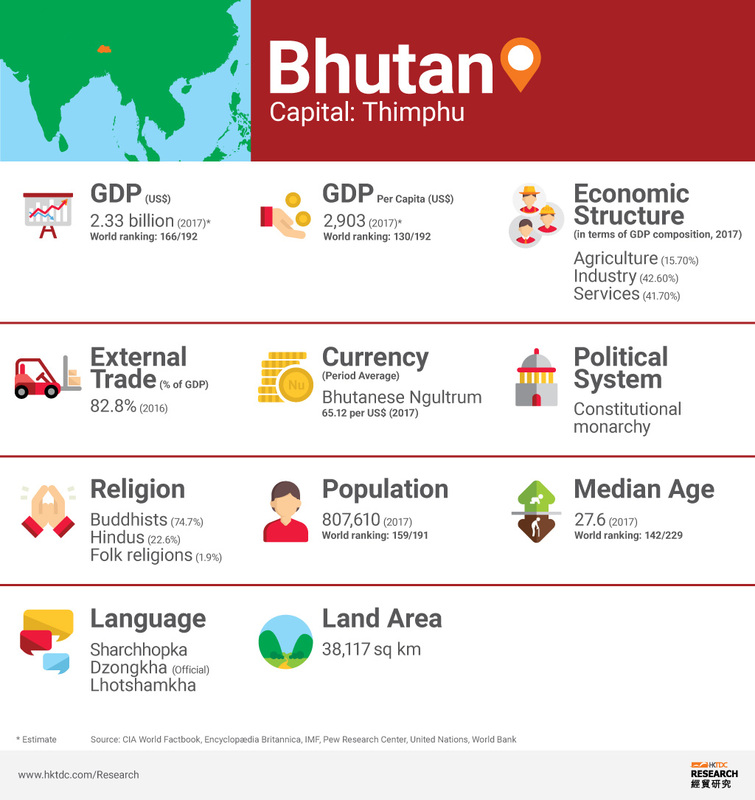 It also has duty-free and quota-free access to European and United States markets as a Least Developed Country (LDC) through the European Union’s General System of Preferences (GSP) and Everything But Arms (EBA) programmes (although, so far, Bhutan has not been able to make full use of this facility). Nevertheless, the World Bank 2018 Ease of Doing Business Report ranks Bhutan 26th out of 190 states in the trading across borders index. 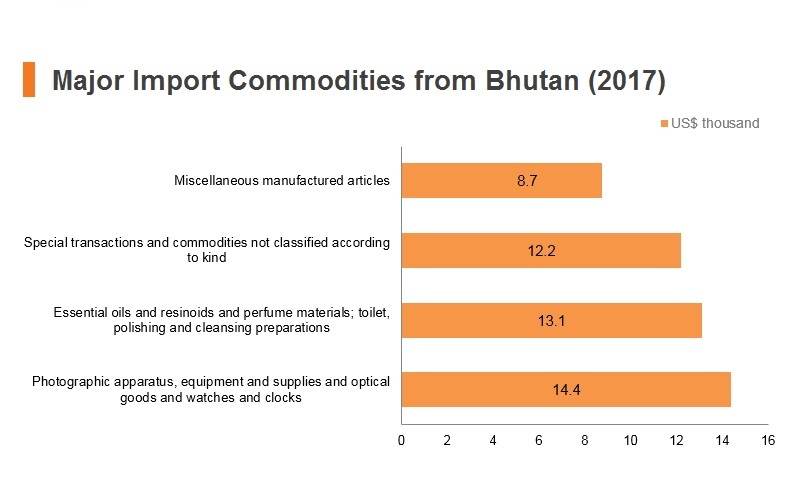 Bhutan accepts sanitary and phytosanitary (SPS) measures of other countries utilising internationally-recognized and accepted SPS approaches in practice. 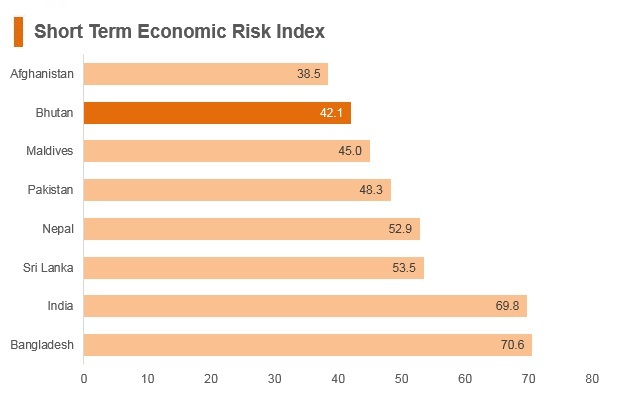 Since neighbouring countries tend to have similar pest and disease profiles, SPS barriers to trade tend to be relatively low. 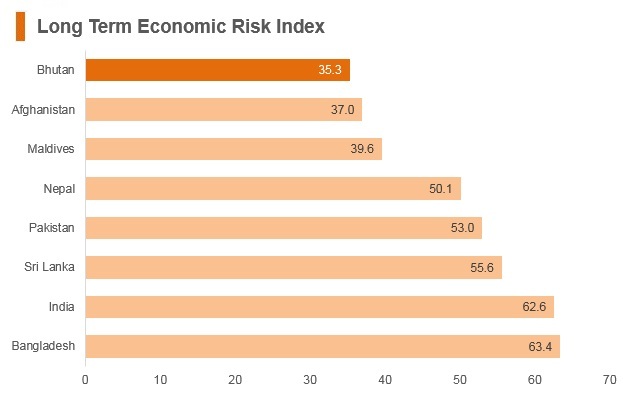 However, SPS barriers to trade with industrialised countries may be very significant. In June 2018, the seven-country grouping BIMSTEC attended a two-day Regional Conference on “Advancing BIMSTEC Cooperation”. The emphasis of the talks was on the need to conclude the free trade agreement among the members of BIMSTEC to advance economic cooperation. Bilateral Free Trade Agreement (FTA) between Bhutan and India: The FTA covers trade in goods and entered into force in July 2006. 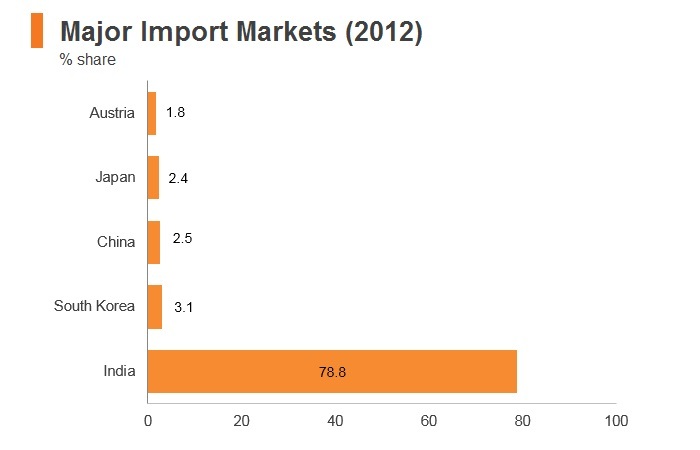 Hydropower is the mainstay of Bhutan's economy, accounting for over 40% of total exports, with almost 90% going to India. 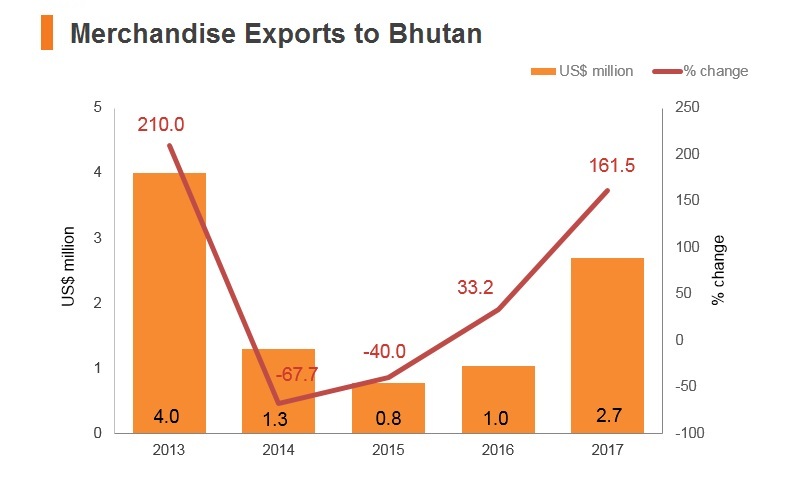 Market access and demand for Bhutan’s goods and services are rather favourable due to the country's completely open access to the Indian market as part of one of the most liberal trade agreements in the world. This highly liberal bilateral FTA features duty-free and quota-free trade and, therefore, trade with India is not restricted by tariffs or rules of origin. 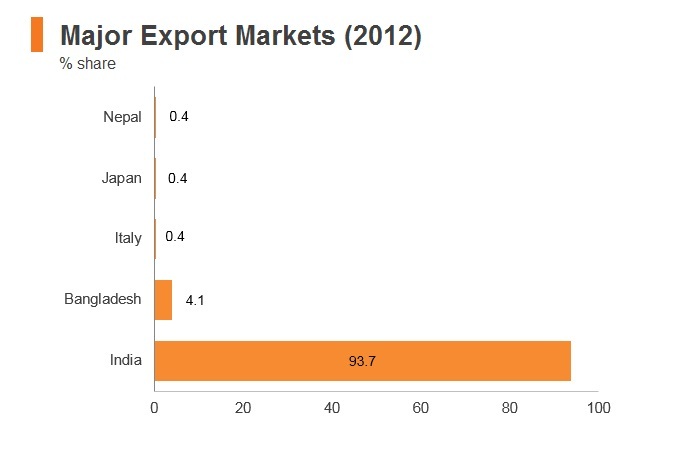 Beyond hydroelectricity exports to India, overall exports remain minimal and of low value. 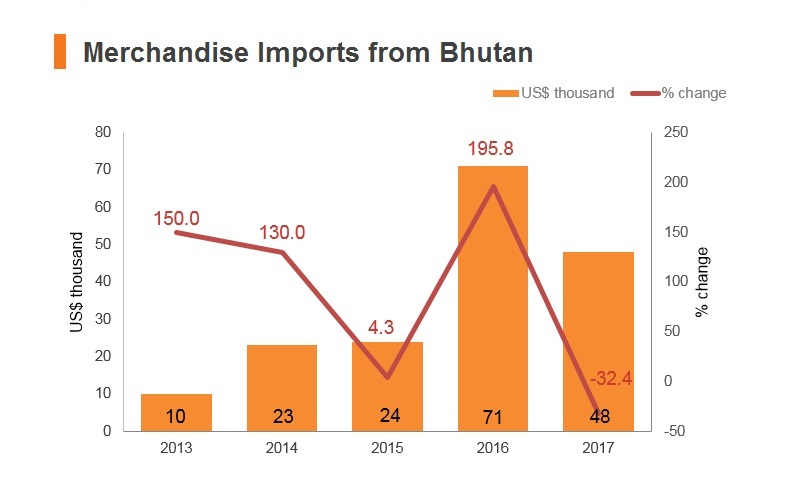 Most imported goods travel overland through India to get to Bhutan, and India accounts for nearly 95% of Bhutan's exports and nearly 80% of its imports. South Asian Free Trade Agreement (SAFTA): SAFTA is a plurilateral Free Trade Agreement between Bhutan, Afghanistan, Bangladesh, India, Maldives, Nepal, Pakistan and Sri Lanka. 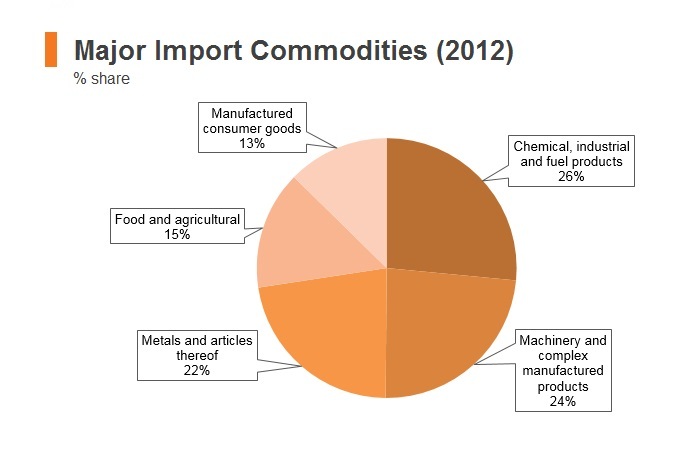 The agreement covers trade in goods and originally entered into force in January 2006. The Bay of Bengal Initiative on Multi-Sectoral Technical and Economic Cooperation (BIMSTEC): BIMSTEC is a plurilateral Free Trade Agreement that is currently under negotiation. The agreement will focus on the trading of goods between Bhutan, Myanmar, Sri Lanka, Bangladesh, India, Nepal and Thailand. The bloc will bring together 1.5 billion people, or 21% of the world's population, and will have a combined GDP of more than US$2.85 trillion. 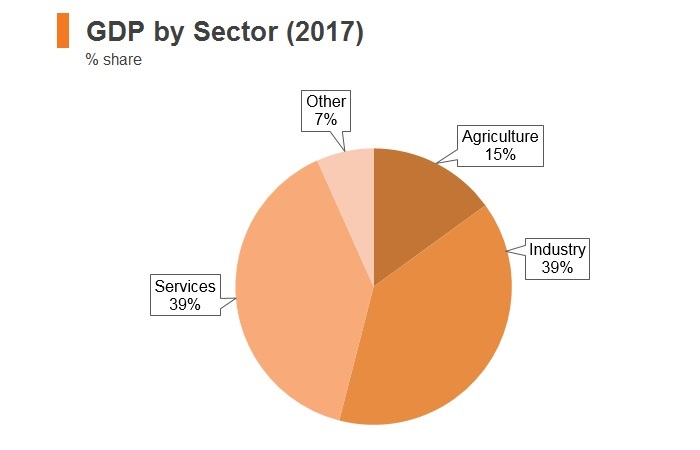 100% of foreign ownership is allowed in the sectors of education services (except technical and vocational institutions), private health, five-star hotels, infrastructure, research and development, head office services and IT. 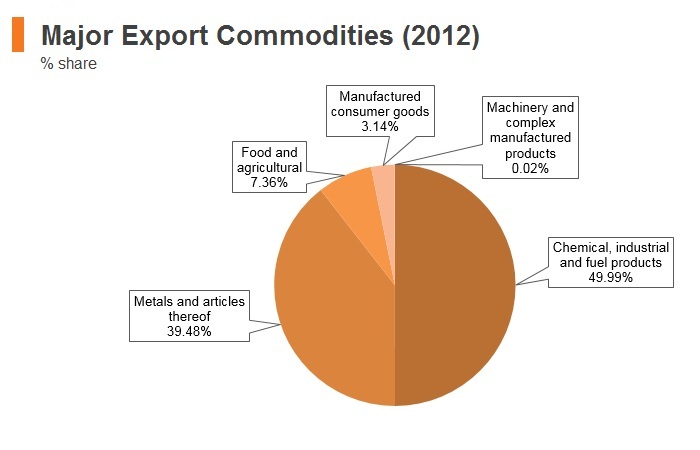 Up to 51% of foreign ownership is allowed in the financial services industry, while up to 74% of foreign ownership is allowed in all other activities, except those in the Negative List, which include sectors, such as media and broadcasting, the distribution of services in wholesale, retail and micro trade, and in mining and sales of minerals in primary or raw form. 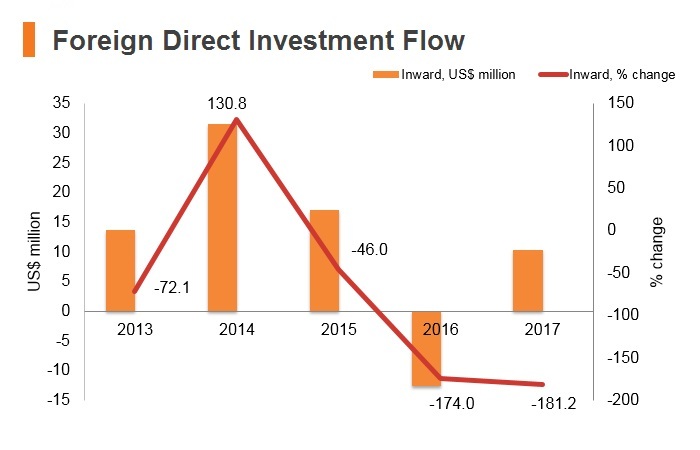 Foreign investment is given the same treatment as accorded to similar domestic investment, unless otherwise specified as above. 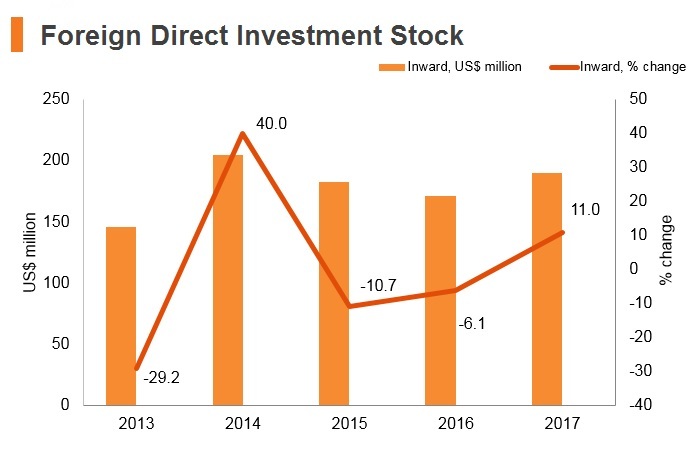 Foreign firms may borrow from financial institutions in Bhutan and the debt-equity ratio shall be as per the provisions of the Royal Monetary Authority (RMA)’s prudential regulations. Foreign investors have the right to repatriate their invested capital and any capital gains secured, in the currency of investment. Bhutan has a double taxation agreement with India. Firms need approval from the Department of Labour to recruit foreign workers. Applications are approved within one week. Businesses hiring workers with Indian citizenship need to sign an agreement with their respective Regional Immigration Office. 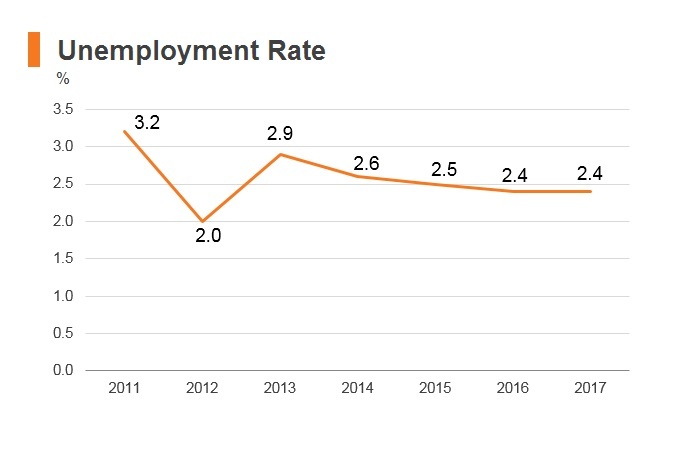 Approval for additional expatriate workers depends on whether a company made efforts to hire a suitable Bhutanese candidate. A firm needs to have documented two attempts to advertise and recruit for a Bhutanese worker locally. The policy ‘High Value, Low Impact Tourism’ makes travel to the Kingdom of Bhutan highly regulated to minimise the impact on the country's society and environment. Bhutanese policy ensures that only a limited number of tourists enter the country at any given time, preventing mass tourism and the alteration of the country's character. Upon entry to Bhutan, all foreigners are issued a 7 or 14 days "Entry Permit" that is valid for Thimphu and Paro only. The rest of Bhutan is considered a restricted area, and foreigners need a "Restricted-Area Permit" to enter. The mining sector in Bhutan has the potential to be a major driver of economic growth and development. 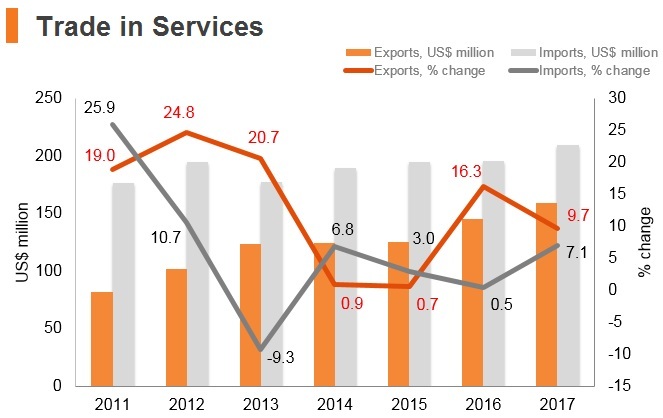 However, mining activities are on Bhutan’s Negative List, which means that foreigners are restricted from engaging in mining activities and sales of minerals in primary or raw form. Holders of HKSAR passports must obtain a visa clearance prior to travel to Bhutan. Visas are processed through an online system by a licensed Bhutanese tour operator directly or through a foreign travel agent.